Abstract- Since the creation of United Nations, the ICJ, popularly known as the World Court, has brought and boosted a positive spirit in international law by infusing the basic ideologies and fundamental principles courtesy its various pronouncements which are slowly transforming in the customary rules of international law. ICJ, since its inception albeit by adhering to some limitations, has done wonders to instill faith of States in international law. However, ICJ is affected by a serious problem for the enforcement of its judgment besides the compulsory jurisdiction issues. The Security Council, the enforcement wing of the UN is the catalyst body to express and execute the will and desires of some States. This paper shall scrutinize the unique relationship that both of these organs of the UN shares. It also highlights the problems and prospects relating to the implementation of ICJ’s decisions and the crucial role, sometimes even overlapping, of the Security Council. The International Court of Justice is the principal judicial organ of the Court and is also known otherwise as 'the World Court'. The enforcement of its decisions becomes the responsibility of the Security Council. In this context, both ICJ and Security Council have their own duties, rights & obligations and they also share a unique relationship. ICJ, since its inception albeit by adhering to some limitations, has done wonders to instill faith of States in international law. However, ICJ is affected by a serious problem for the enforcement of its judgment besides the compulsory jurisdiction issues. A brief analysis of their relationship is necessarily required for the purpose of understanding of the various problems in the enforcement of ICJ’s decision. The Security Council, the enforcement wing of the UN is the catalyst body to express and execute the will and desires of some States. This paper will highlight as to how Art. 94 (2) and Art. 27 of the UN Charter turn into major obstacles in the path of development of public international law and international human rights. Article 94 (2) sanctifies up on the Security Council the power to enforce the judgments of the International Court of Justice and seeks to establish a harmony between these two organs of the UN. One must pay close attention to the word 'may' placed under Art. 92 (2) by virtue of which discretion is conferred on Security Council to enforce or not to enforce the judgments of the Court. It is also very tragic and unfortunate to note that the ICJ Statute which governs and dictates the complete behavior of the Court and State parties also do not contain any provision for the enforcement of its own judgment which actually should bear a mandatory clause and a condition precedent for any States before they approach the World Court. In this context, it was suggested a number of times earlier that Art. 60 of the ICJ Statute must be amended to include the remedy in the form of 'Declaration of non-Compliance'2. Article 94 (2) leaves much space for politics to be entered into the decisions of the Security Council while enforcing the judgments of ICJ and thus, corrupts the system. It runs contrary to Art. 60 of the Statute which states that the ICJ's judgment is final and without appeal. In this context, the jurists and international authors are posed with yet another important question i.e. Can the judgments of ICJ be politically reviewed? The answer to this question would probably be in negative because both the UN Charter and ICJ Statute contain no provisions to that effect. However, one can argue that the decisions of the World Court can indeed be reviewed by other organs of the UN in many other indirect and informal ways. By resorting to Art. 24 (2), the judgments of ICJ may be reviewed keeping in mind various considerations like politics, economic relations with countries in favour of which the judgment has been delivered and other aspects which may be of contemporary value. However, the use of Article 94(2) since its inception are still rare and utilized only on three occasions: this Article was used by the UK, in 1951, with respect to the Anglo-Iranian Oil Company case; by Nicaragua, in 1986, in the case against the United States and by Bosnia-Herzegovina, in 1993, in the case against the Federal Republic of Yugoslavia3. The Anglo-Iranian Oil Company case4 was a typical case of 'litispendence'. With respect to the ICJ’s order, the Security Council exercised its discretion and decided to adjourn the Council’s meeting on the issue until the final judgment form ICJ handed down. Similarly the case of Military and Paramilitary Activities in and against Nicaragua5 also highlights the use of Art. 94 (2) and ineffectiveness of the ICJ’s judgments and inability of the Security Council to deal with the situation. In this case, ICJ delivered the Judgment against USA and Nicaragua asked the Security Council to enforce the judgment as early as possible. 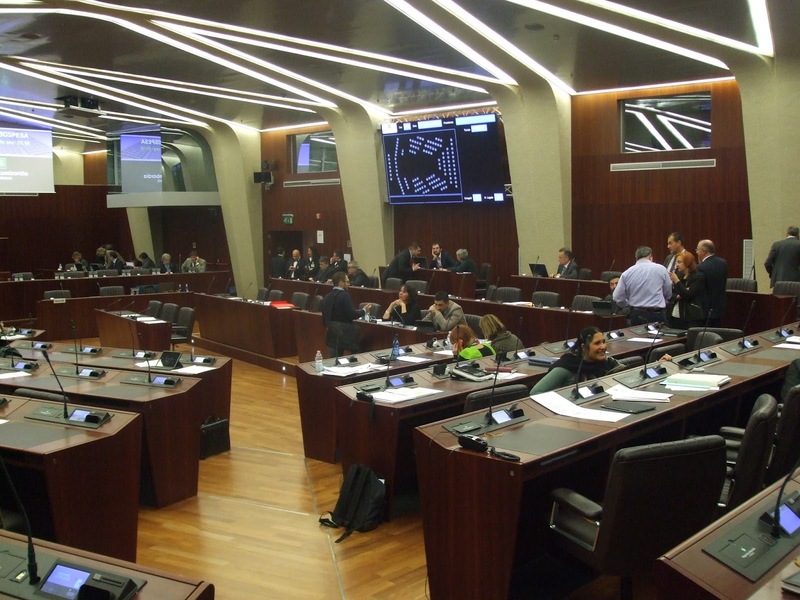 Put to the vote, the draft resolution was not deemed to be adopted by the President of the Council due to the negative vote of the United States of America, a permanent Member of the Council. There also exists an important question i.e. what would be the fate of the case instituted in ICJ if the matter has already been seized by the Security Council. The Famous Lockerbie Case6 may clarify the situation and provide the answer. Following the bombings of Pam A Flight 103, the US and UK jointly conducted investigations. Based on the findings of investigations, the Security Council adopted a resolution to extradite the suspects from Libya which Libya refused bluntly. Instead Libya instituted proceedings against both USA and UK in the International Court of Justice in the August of 1992. Libya’s application was based on Art. 14 (1) of the 1971 Montreal Convention which was then I force between the parties. It pleaded before ICJ to declare that Libya has resorted to national remedies in taking action against and suspects and has complied with all international norms. The United States raised an objection on the ground that the Security Council has already seized the matter of same substance which was mentioned in Libya’s application before ICJ and as a result the World Court should not deliver any provisional or other relief in the present matter. It must always be projected that while dealing with each case, both Security Council and ICJ must be cautious. In the application of Art. 92 (2), the principle of ’Self-restraint’ must be followed by the Security Council. In enforcing the judgments of the World Court, the Security Council must give full effect to the judgment in order to ensure effectiveness and abidingness of the international law in general. Political and other consideration must fade away and the veto power in cases where the World Court’s decisions are involved must rarely be used. The incidents like Nicaragua must strictly be avoided. The best way feasible in this regard is to amend the relevant provisions of the UN Charter and also the provisions of ICJ Statute specifically to include the power to issue ’declaration of Non-Compliance’.